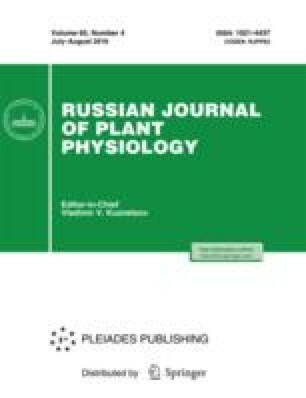 To investigate phytoremediation potential of Typha orientalis Presl in removing Pb2+ from polluted water, relevant experiments were conducted to evaluate responses activated by Pb2+ (0.25–2 mM) in T. orientalis roots over a period of ten days. Pb contents in subcellular fractions decreased in the following order: cell wall > organelle > soluble fraction. Most of Pb was located in cell wall and membrane system. Contents of K and Ca declined in T. orientalis roots under Pb2+ stress, but an opposite effect was noted for some mineral elements (Mg, Cu, Zn, and Fe). H2O2 level increased in a concentration-dependent manner, which induced oxidative stress. However, significant reduction in levels of O 2 ·− and malondialdehyde (MDA) were observed in all Pb2+ treatment groups. Findings indicated toxicity of Pb2+ to T. orientalis in terms of inducing oxidative stress and causing imbalance in mineral elements. However, T. orientalis also resisted Pb2+-induced damage through isolation mechanism, which involves cell wall and membrane systems.